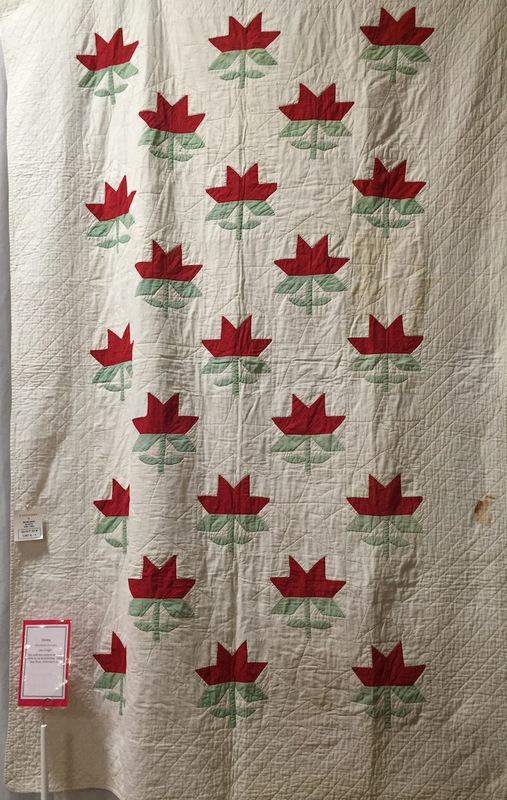 Arlen Bird, Union, earned top honors as show champion for her "American Glory" quilt, a reproduction of a quilt first stitched in the early 1800s. 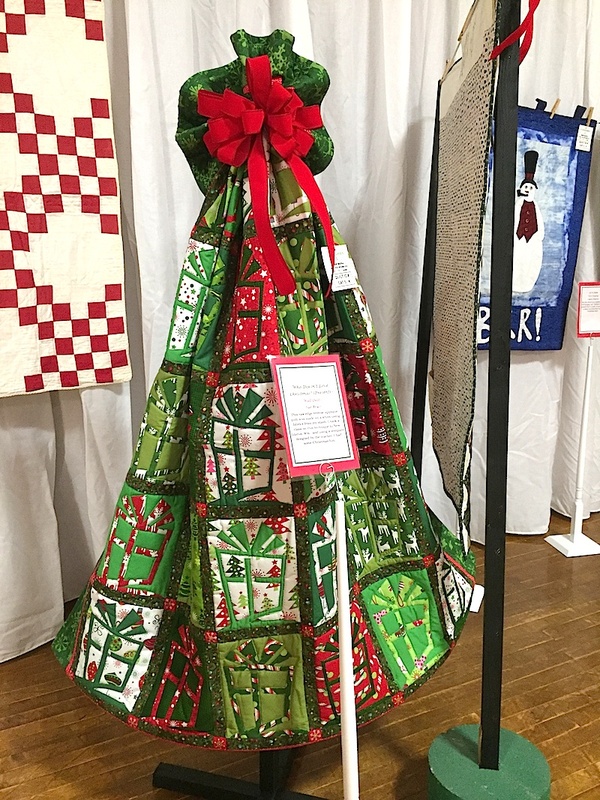 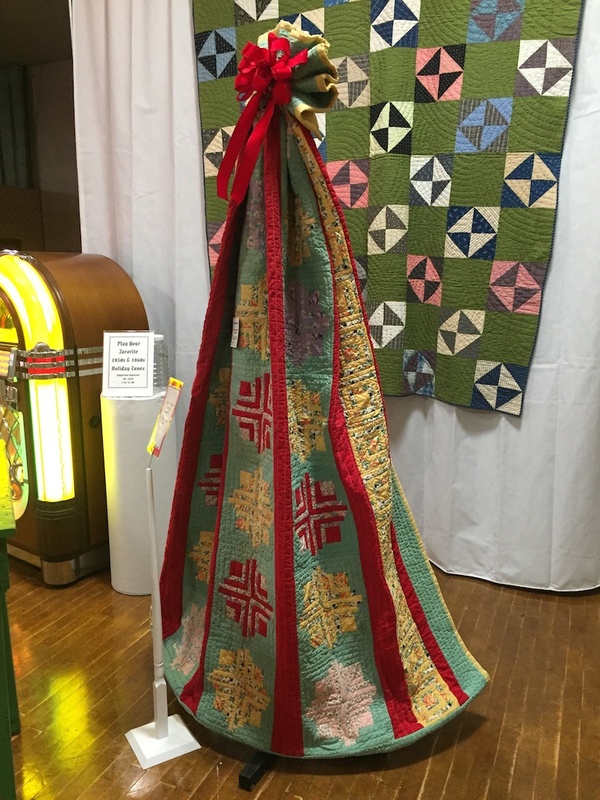 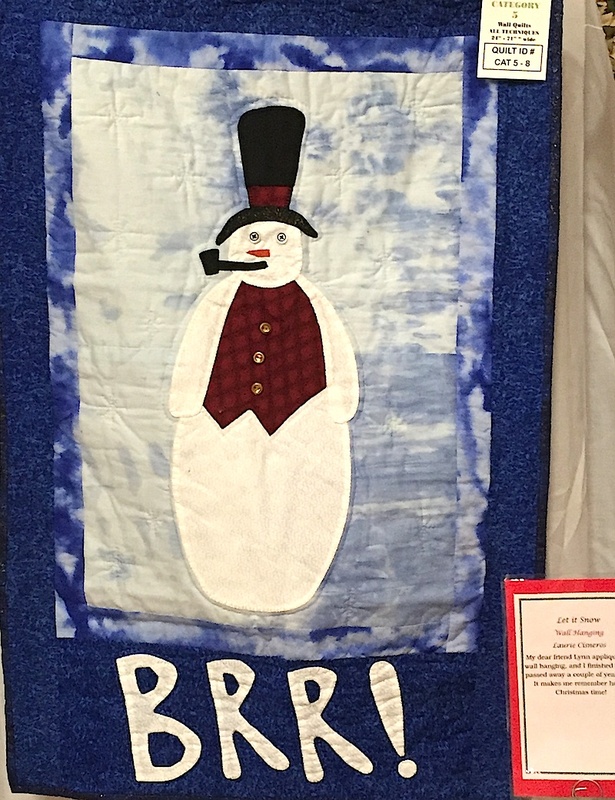 Sue Bruss, Huntley, claimed the People's Choice Award with her "Who Doesn't Love Christmas (Presents)" – Raw edge reverse applique made using leftover fabrics "from her stash." 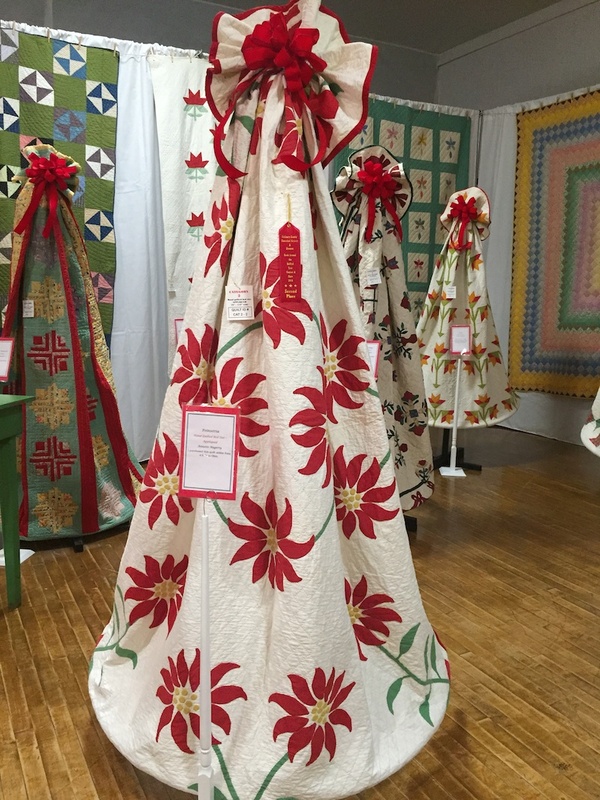 • Heirloom (pre-1965): First and Second, Barbara Peterson, Prairie Grove. 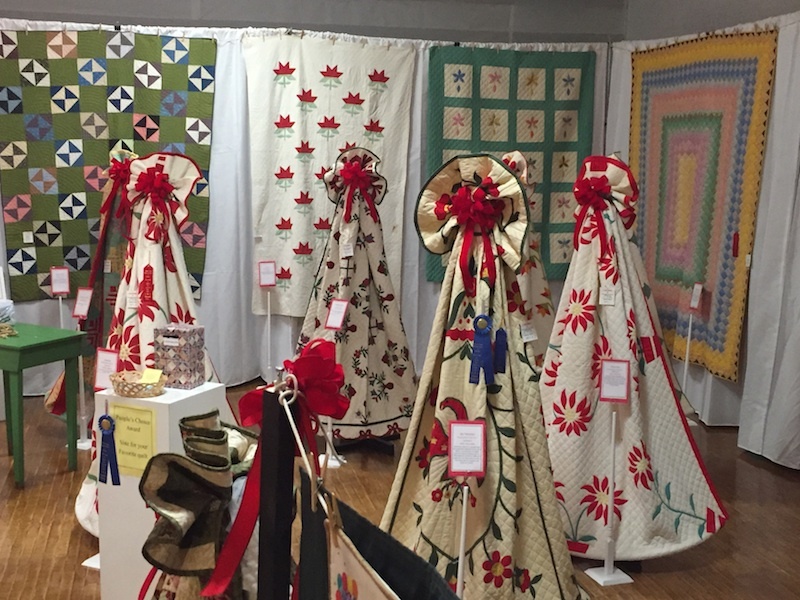 Thanks to everyone who participated in our first, in what we are confident, will be a long line of yearly shows. 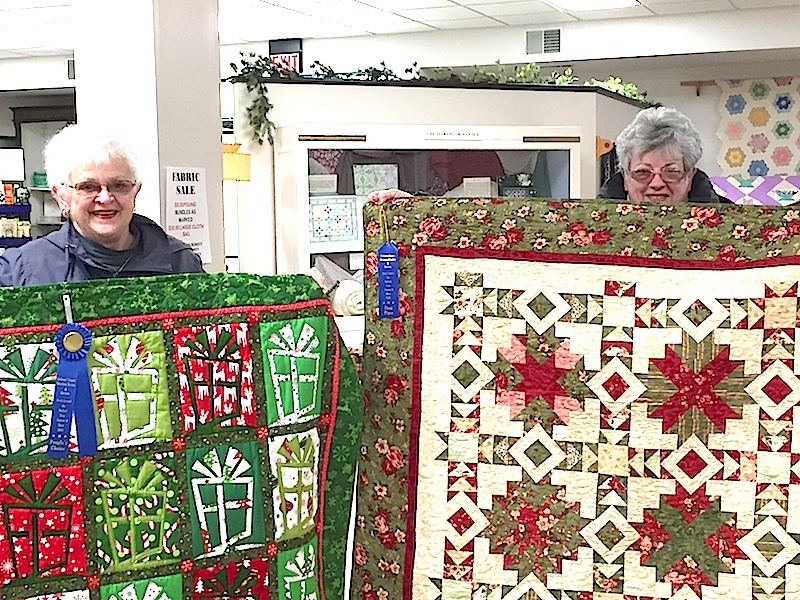 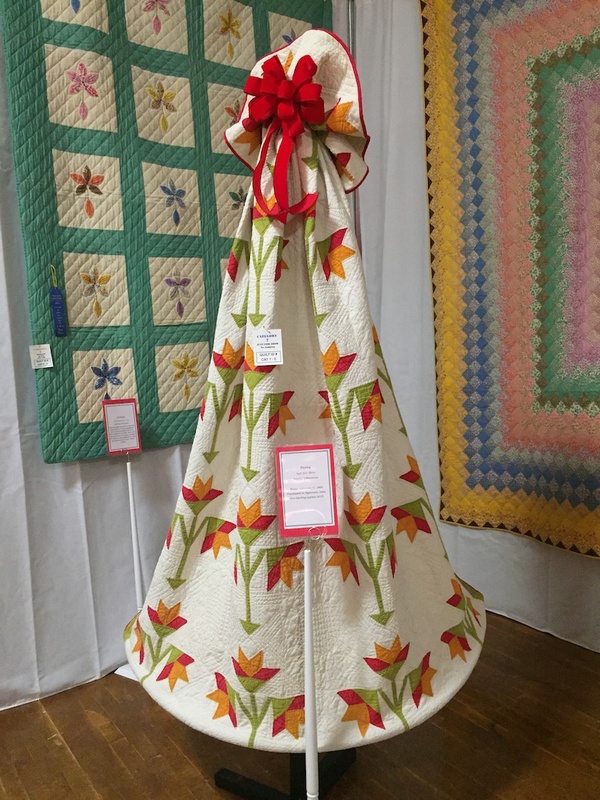 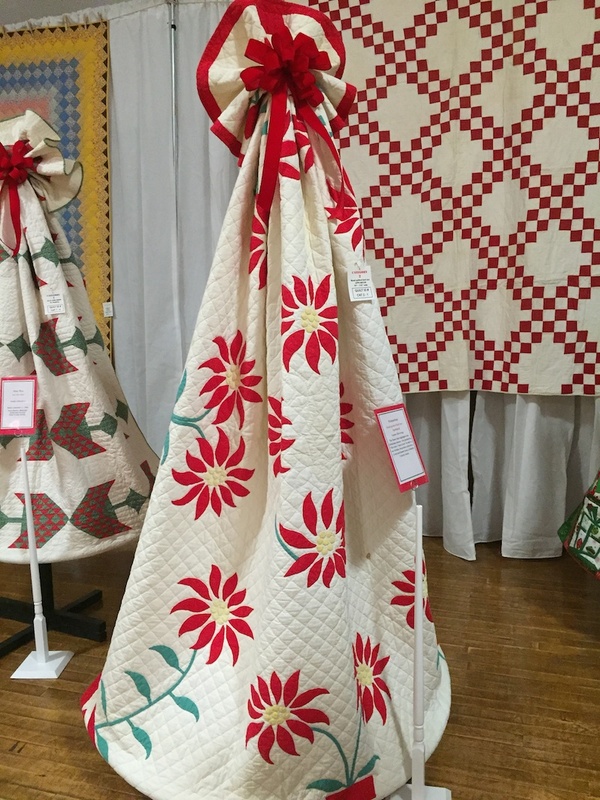 Special thanks to Fabric, Fiber & Finds and Material Girl for their donations and to volunteers Dale Morton, Bill Dysart and Bob Lee for creating the quilt stands.